How does it make you feel when something you love gets even better? Can you imagine getting 50,000 extra miles on your car warranty? How about getting an extra order of fries for the same price as the meal you always get? How about finding out that it was Senior day at the market and getting 10% off your order?!!!! Well, our beloved Premium Starter Kit got one of the best upgrades I've ever seen!! Instead of 11 essential oils, it now has 12!! AND one of the oils was replaced with one of the most loved oils Young Living offers!! They also added more of our loved product! So, what does it have? The retail value of this kit is almost $400 and it is only priced at $165!!!! (plus any state tax and about $7 shipping). It is like a Black Friday sale year round!! That is almost 60% off the retail price!! This deal is so good that many existing members buy the kit just to get an extra diffuser and refills of their favorite oils. AND........On top of the kit, you get exclusive entry into our private Facebook group with over 2200 members who share and answer your questions. PLUS, you get the expertise of Leah and Ann to help you along your oily journey. BUT WAIT........(you knew that was coming right? ).........for a limited time, you'll also receive two books on essential oils. One of them has recipes so you can blend your oils. We want you to experience wellness, purpose and abundance! Contact us using the contact form to the right!! This will be the BEST bang for your wellness buck this new year. If you have kids at home, you need SniffleEase! That is a funny word isn't it?! It just happens to be an essential oil blend that is formulated specifically for our little ones! Yup, Young Living has our kids covered as well as adults! As hard as we try as parents, there is just no way you can protect you kids. They come in contact with all kinds of nasties when the are at school. They touch other kids, they get dirty, they touch areas without washing their hands. They just really go through a lot on a daily basis. This is especially true during seasonal changes or winter months, SniffleEase essential oil is key for protecting the wellness that you're try so hard to preserve in your kids. So, what is in it? SniffleEase is one of those oils that is experienced best when applied, diffused, and inhaled directly. AND! !......This oil blend is only one in the KidScents Collection that are formulated especially for children and are pre-diluted so they are very gentle to the skin when applied topically. If you are interested in SniffleEase or any of the other blends in the Kid-Scents collection, use the contact form to the right and we will answer you right away! Are you like me? I happen to not be good at planning my meals. Here is my scenario....it is about 4:30 in the afternoon and I'm starting to get hungry but dinner hasn't been planned yet and there is no food on the stove yet. What do I end up doing......I go to the cupboard and grab whatever is quick and pound down some carbs or sweets to take away some of the hunger. If you made any healthy eating goals for the year, you have just derailed your goal because of some silly lack of planning. Now.....I'm not here to wag my finger at you for cheating and not making your goals! I'm here with a cool recipe that will help you keep on track!! Thanks to Amber Ervin & Beth Maycroft of The Mix for this great recipe that uses our Pure Protein Complete powder for a delicious Protein Energy Ball! 1. In a large bowl, mix your oats, flax, and protein powder using a fork. 2. Add your peanut butter and honey. Mix to incorporate. 3. Stir in your almond milk. You may need more. The goal is to make your “dough” moldable but not too wet. 4. Add your chocolate chips and mix until evenly distributed. 5. Shape into 1” balls and place on parchment paper. 6. Let sit for 10-15 minutes before transferring to an airtight container. 7. Keep this treat in the fridge. This morning I got this awesome announcement in my email. "We’re proud to announce that all Young Living Vitality™ essential oils are now Non-GMO Project Verified! To receive this certification, all Vitality oils passed through third-party verification, auditing, and testing. Canada also received Non-GMO Project Verified certification on all its oils from the Plus(+) line. This distinction is yet another example of our Seed to Seal® quality commitment. Now, when you visit YoungLiving.com, you’ll notice that each Vitality product page is now proudly sporting the Non-GMO Project Verified logo. The logo won’t be added to our EO bottles for now, but we have the rights to use it in our marketing materials. We’re excited to move forward with our Seed to Seal story to bring the highest-quality oils to wellness seekers all around the world!" The shower can be troublesome to clean sometimes. Here is a great solution for you. The refillable scrub brush is the jewel in this recipe! Add above ingredients to a refillable scrub brush and keep it in your shower. A few times a week wipe down the shower walls and tub with this solution and rinse clean. So simple and quick! and the bonus? It is non toxic and safe to use while you’re in the shower getting clean too! If you are interested in either of these amazing products, please contact us. We put in orders monthly and would love to have you clean your home with something that is non-toxic! Special Thanks to Aubrey Johnson for this great recipe in The Mix. The pre-teen and teenage years can feel like completely unchartered territory, not only for them, but for us as parents, grandparents, and caretakers as well. 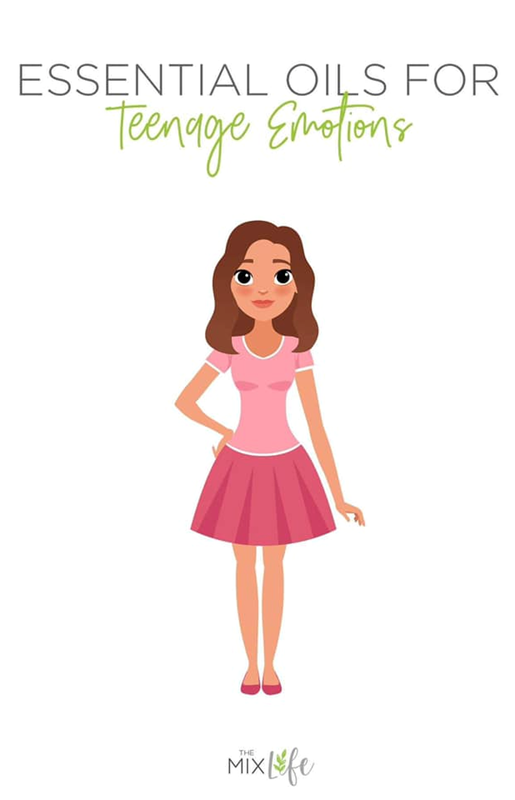 The hormones are making their emotions run rampant, peer pressure is stifling, homework and extracurricular stressors are weighing on them, and let’s be honest: they haven’t quite figured out how to positively respond to all of these things yet. 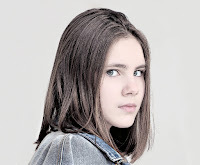 My kids are all grown but my grandkids are in the pre-teen and teenage years. One day I know them and the next I don't. The emotions have yo-yo'd. One day the 16 year old is all hugs and the next it is "Don't touch me!" I remember my own kids going through these stages and it was hard then too. I wish that essential oils had been part of my life then. If they had been, I believe the ups and downs would have been more evened out. So, the question is.......how can we help them? Not only them but us as well! So how can you use them? Diffuse any of these alone or in combinations each night. You can blend some together for good as well. Such as Sandalwood with Lavender for a restful night’s sleep. Topically they benefit teens when used morning and night. You can use a small essential oil bottle with a roller ball. Blend oils together such as 10 drops each Clary Sage, Frankincense, and Lavender, then top with a carrier oil, and roll onto wrists and throat regularly. Ways to use: mix with carrier oils and apply to the bottoms of the feet and wrists, or diffuse somewhere nearby, especially during times of study. A great combination is Frankincense, Ylang ylang, and Peppermint. Rosemary is particularly helpful improving memory. 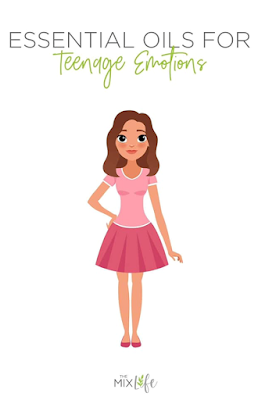 How many times have your pre-teen or teens been so moody and grumpy that they are barely socialable with their family let alone their friends. Some teen may need more and need some therapy. But, you may find that one of the best routes to start with natural remedies. Ways to use: diffuse any of these or any combination pretty much around the clock, or as often as your teen is near a diffuser. Diffusing these overnight is especially helpful. You can also apply these topically, morning and night. A great combination is equal parts Ylang ylang, Bergamot, and Lavender. Wonderful for moods and will also aid in a restful night’s sleep - because not getting enough sleep won’t help the crankiness! And we all know that teens require an huge amount of sleep and usually don't get it. Are you feeling like you just can't get 2019 off to a good start? Well, this announcement will help you get out of your rut and jump start your health! Today through January 14th, the Premium Starter Kit is 10% off!! That means that it is available for $144....... which is an unbelievable price. What do you get for that money? 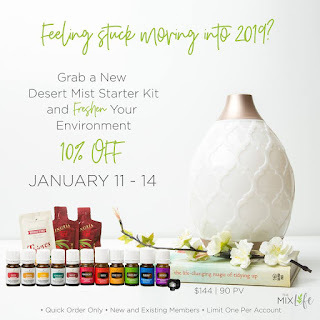 The Desert Mist diffuser, ELEVEN of the most popular essential oils, a roller ball, TWO Ningxia Red Samples, ONE Thieves Household Cleaner sample, TEN sample bottles so you can share plus some sharing cards. The diffuser alone is worth half of the kit price!! 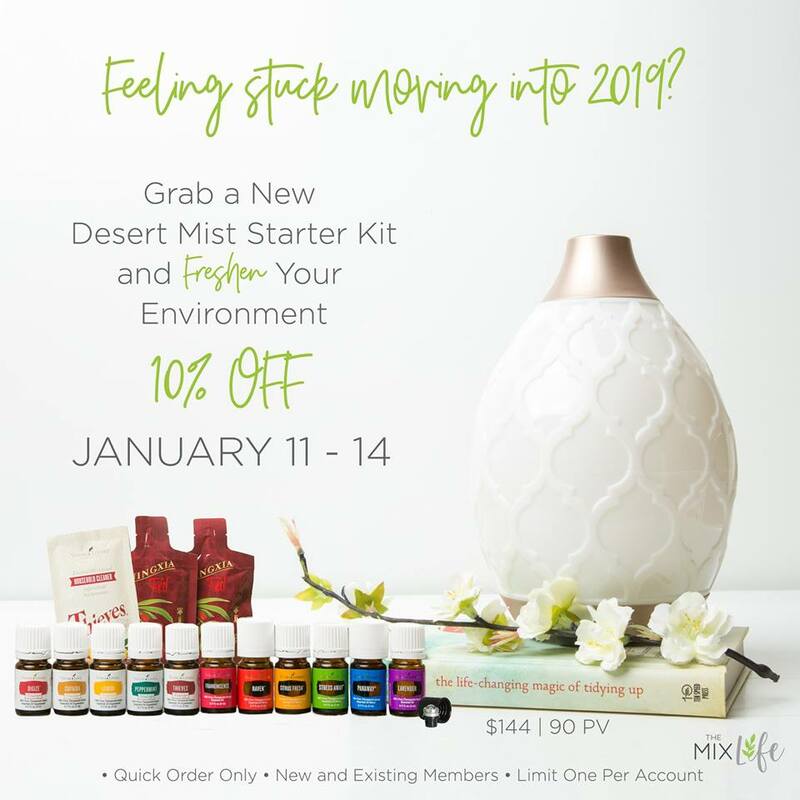 This deal is so good that existing members often purchase a sale kit for themselves to get another diffuser and a refill on oils they use most. Now is your chance to join the RevOILution and start your journey with the Premium Starter Kit. Leah and I also have two awesome books that we bless you with when you join the team that are valued at $25!! Want to see a list of the oils you get? 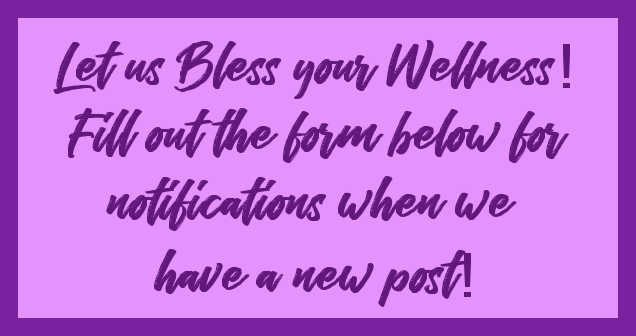 Click HERE to see the detailed list! Do you see a flag you recognize? Young Living has a pledge to open 5 new markets every year! A new market means that a new country is able to get their hands on Young Living Oils!! This is so awesome! So, do you have friends in any of the new countries to be added below. Let them know that YL is coming to them soon!! 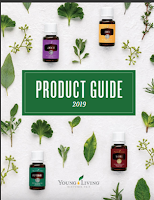 We are truly excited about the future growth of Young Living globally with our commitment to the 5x5 Pledge by adding five new market each year. In 2019, we are exceeding this number by opening seven new markets! As promised here are the months of each market launch along with the corresponding Facebook groups to join for any new details and developments. Plus one more market pending. Are you over sugar, yet? Did December eating get you sluggish, heavier and more? Are you ready to kick this sugar habit to the curb and propel yourself to a healthier eating habit? There are a lot of ways to help your eating habits. Some people may opt for Keto, Paleo, Gluten/Sugar free or whatever! No matter what way of eating you start, you really should have a good sugar detox to start you off right. Young Living has your back!! Their 5-day Nutritive Cleanse is designed to reset your system to get you on track toward a healthier eating style. So, let's talk about what it contains and how it will help you reset. •Balance Complete (BC) - a super-food meal replacement shake high in soluble and insoluble fiber. It is perfectly balanced in prebiotics. This shake gently removes toxins and excess fat from the digestive tract. This replaces three meals a day. •Digest & Cleanse capsule - a proprietary blend of peppermint, caraway, lemon and other essential oils to reduce gas and soothe the intestinal tract. This is taken 30-60 minutes before each BC meal. •Ningxia Red supplies natural antioxidants and essential nutrients to further assist in detoxification. This trio is very easy to use too! Don't let the word cleanse scare you. Here are some simple instructions on how to use it. •Take a Digest and Cleanse capsule 30-60 minutes before each BC with plenty of water. •Three snacks a day as per the booklet that comes with the cleanse kit. Stick to the plan for ONLY five days. The detox involved can be fairly gentle, or a little more difficult, especially if you’re coming off of a “season of sugar”. Headaches and malaise are the challenges, but 3-4 days in and you should notice the subsiding of lethargy, replaced with increased energy and decreased hunger level. The completion of this cleanse is so rewarding as you have now detoxed from sugar and you’ve reset your body to begin your healthier eating journey! If you would like to try the cleanse and you aren't a Young Living member yet, I can tell you how membership has it benefits! If you aren't ready for a membership but want the cleanse kit, we can help get it to you! The cost of the kit would be the retail price (less 15% discount gift from us) plus Shipping and tax (as taxed in your area). No tax if you are in Oregon. Happy New Year to everyone! New Year's is a time when people think about changing things up in their lives, purging the house of unwanted items, or starting the cleaning process. So.....let's talk about a cleaning process that many of us never really think of! Do your kids or grandkids LOVE bath time? How about playing with toys. If your kids are like mine were, you can never have 'too many" toys. One particular toy they loved was a plastic horse that looked like a carousel rocking horse. It was so cute but after a few baths, the inside of that horse was almost black with mold and who knows what other bacteria was inside there! I would have to pop off the head and try to clean it out but you could never really get it all. Some of the other toys were harder because all they had was a squeaker hold. You can try to squeeze out the water but it never really gets the inside clean. I've even heard of some people glue gunning the hole so the water can't get it. But....once that water gets in it is almost impossible to clean. I want you to think about this for a minute. If you haven't cleaned the toy so all the mold is gone, the bacteria from it is released into the tub when they play with that toy again. Can you say YUCK!! I don't want bacteria in the tub with my littles. I know some people clean bath toys with bleach. Oh My!! Bleach is said to get rid of mold but it actually doesn’t. It just “bleaches” the mold making it look like it's gone. I'm not sure how true that is but I just don't like the idea of soaking the toys in bleach then letting the kids bathe with them either. No matter how you try to clean them, getting mold out from inside the toys is difficult. One of the best ways I’ve heard of is to clean bath toys is with Vinegar and Essential Oils. 4. Wash the outside of each toy with Thieves Hand Soap and when you rinse them make sure to squeeze out ALL of the vinegar water from inside of the toy. 5. Let them dry completely before you use them again in the bath! Isn't that pretty simple? You might want to do this at least once a month or more. Depends on how many baths are taken.